There are so many logical operators in which every operator has different types of work. Here all logical operators described with some examples. 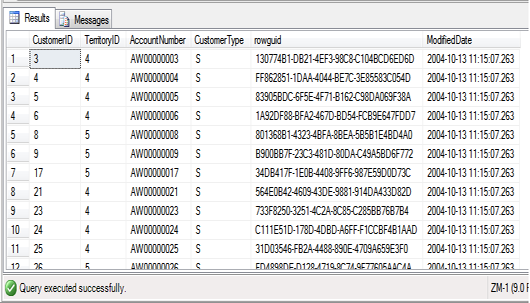 In the above example only those data retrieve from database which customer type is s and TerritoryId is 4 or 5. You can see the output in the figure. Here you have learned the logical operators and its type. An example of and, or logical operator is also given herewith output. In the next chapter you will learn about String concatenation operator and its type.